Today I’m super excited to share an interview with Michelle from Lab Muffin. Michelle has a PhD in chemistry and has been teaching people about the science behind skin care at Lab Muffin for the last seven years. I love her clear explanations, her hilarious Instagram account, and her brilliant explanatory videos. I reached out to her a few weeks ago with a very fan-girly email and was stoked when she agreed to be interviewed, and here we are! Where does the name “Lab Muffin” come from? It was mostly because I couldn’t think of a name, and I really wanted to start writing so it was an ad hoc name. I used to work in a lab, and my ex’s nickname for me was Muffin, so I put the two together and it was pretty catchy and unique. I never got around to thinking up a better name and it’s probably too late to change now! What came first for you—beauty or science? When did the interests merge? I’ve been interested in science since high school, but I didn’t really get into beauty until I hit university. It only really occurred to me that I could look up peer reviewed papers to check if beauty claims were true when I started doing my PhD! I have a terrible memory, and doing all this reading took ages, so I started writing down my findings for myself, and then it occurred to me that other people might want to know these things too. And so my blog was born! What are some of the most common misconceptions you encounter in science & beauty blogging? How much sunscreen you need to wear—a lot! Much more than you’d use of a foundation or a powder, for example. There are way too many people who think using an SPF 15 foundation means you get an OK amount of sun protection. How chemical and physical sunscreens work: They work the same way! There’s a really pervasive myth that chemical sunscreens need to go on first so they can bind to your skin, and that physical sunscreens reflect UV—in reality they both mostly absorb UV and turn it into heat, and can be used the same way. That pores open and close with heat and cold: Pores aren’t doors! There’s no muscle controlling their size. That physical exfoliation is dangerous and causes microtears: There’s no evidence for this, and dermatologists use physical exfoliation all the time (dermabrasion). What are your top resources for learning more about the function and safety of ingredients? I’ve found that online databases have really unreliable information—there isn’t a site I’ve found with safety evaluations that I feel like I can trust yet! I usually just go with the peer-reviewed literature, which isn’t the easiest to sort through and understand. In terms of safety I think Beautypedia is generally pretty good, although there are a few ingredients (alcohol and fragrance, for example) where I disagree with their assessments. 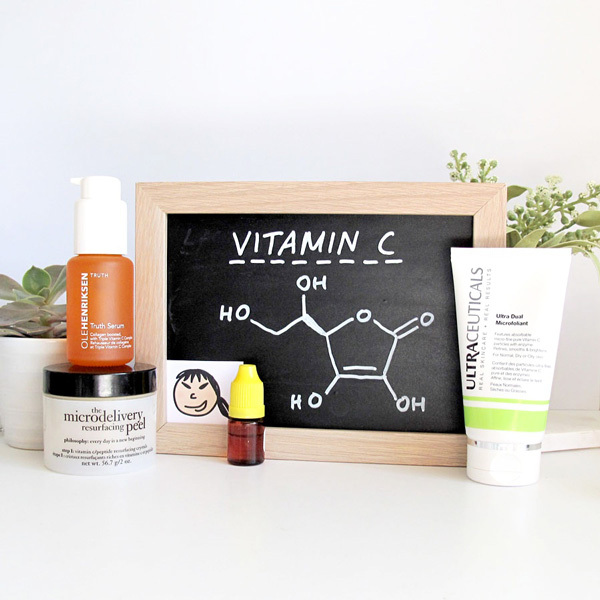 I assume you’re testing lots of products all of the time, but what are the essential, non-compromisable steps of your skin care routine? Sunscreen: It’s really hard for me to find a sunscreen that doesn’t clog my pores, but I have a short list of around 4 that I rotate through. I’m always trying to find more! As well as preventing aging and cancer, I find that not using sunscreen can stop my acne marks from fading for months. I like using the newer photostable UVA filters where possible. Gentle cleanser: I honestly think a good cleanser is one of the most important things in a skincare routine. A lot of people ignore cleansers because they wash off, but even after they wash off the effects of a bad cleanser can last all day! Exfoliating AHA product: Usually glycolic and/or lactic acid. I prefer weaker products since my skin is somewhat sensitive these days because I’ve been using tretinoin, but sometimes if my routine is packed I’ll use a stronger wash-off product. Tretinoin: Unless I’m testing products, I use this every 3 days. Facial oil: I default to this as moisturiser when my skin is sensitive. My favourite is rose hip oil. What is your top tip for people who are unhappy with the results they’re seeing from their current skin care routine? I’d recommend starting again from scratch – stop using all your products, and add them back in one by one to see if they’re actually doing anything! 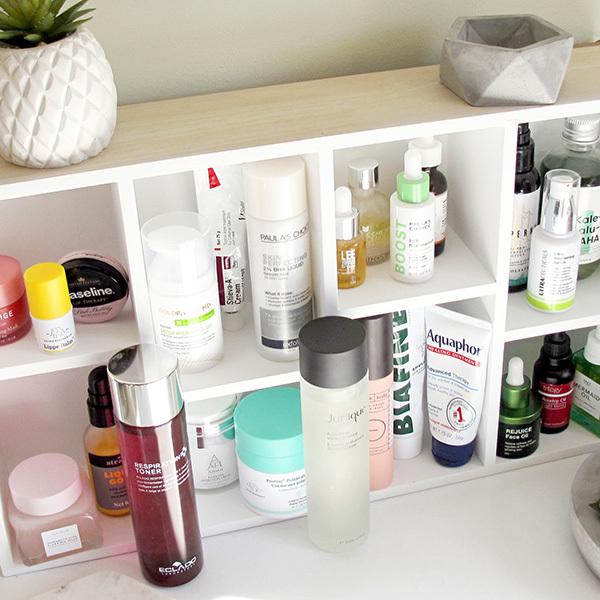 I think it’s very easy to get swept up in the excitement of using skincare products and add products in too quickly, and you end up with an expensive routine and you don’t have space to add new products in, or you might have a product in there that’s making your skin worst and you don’t know which one it is. A lot of the time, it’s also the “basic” products in your routine that you’ve gotten wrong – namely cleanser, moisturiser or sunscreen. 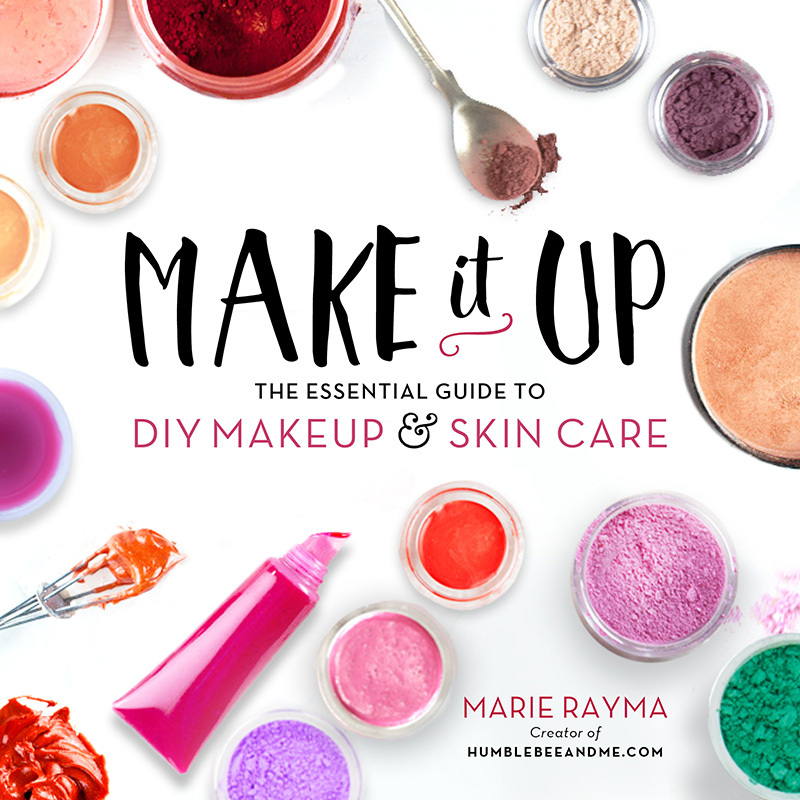 My book, The Lab Muffin Guide to Basic Skincare, has everything about how to pick and use those, and how to go about building your routine in an effective way! How concerned are you about the safety of the ingredients in store-bought skincare products? Why? Is there anything in particular you avoid, any why? I’m not particularly concerned—when you look at the evidence for the common concerns, it usually comes from a misinterpretation of the science! Parabens is probably the main one. There are a few ingredients I avoid though—sodium lauryl sulfate because it dries out my dehydration-prone skin, and bismuth oxychloride because it breaks me out. What are some beauty & skin care trends you’re really excited about right now? I’m really excited about at-home light treatments! I’m looking forward to new products coming out, I love the idea of being able to regularly give yourself treatments at home. I’m also excited about microneedle patches for deeper delivery of active ingredients. Images courtesy of Michelle from Lab Muffin. Thanks, Michelle! Ohhhhh Fan Girl over here too!!!! 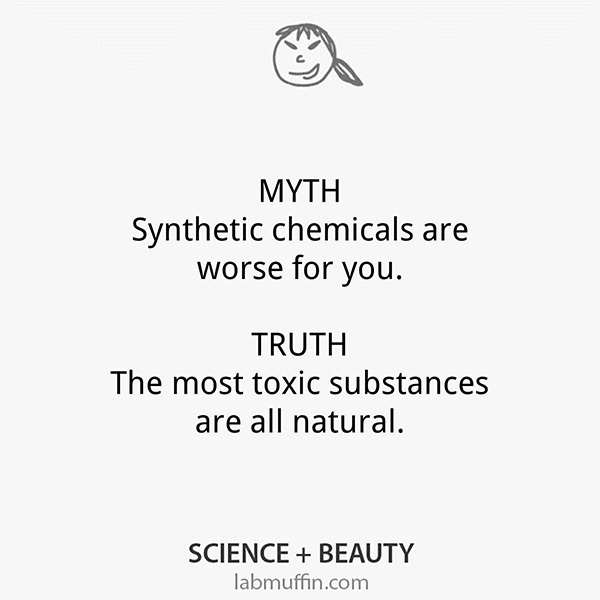 Loved this part, “What are some of the most common misconceptions you encounter in science & beauty blogging?” Lab Muffin has been a huge breath of fresh air when it comes to my knowledge of ingredients. I can’t wait to hear her results on the at home light therapy! Great interview. It must have been difficult to narrow down the millions of questions you would love to have asked. Have you thought of doing a live interview? Thanks, Joanne! I’d love to do a live/filmed interview with somebody someday, I just need to get someone in the same place as me! Maybe at the upcoming HSCG conference… hmmm…. I once commented on a recipe suggesting you start reading LabMuffin! I feel particularly gratified right now since i give such EXCELLENT blog recommendations.